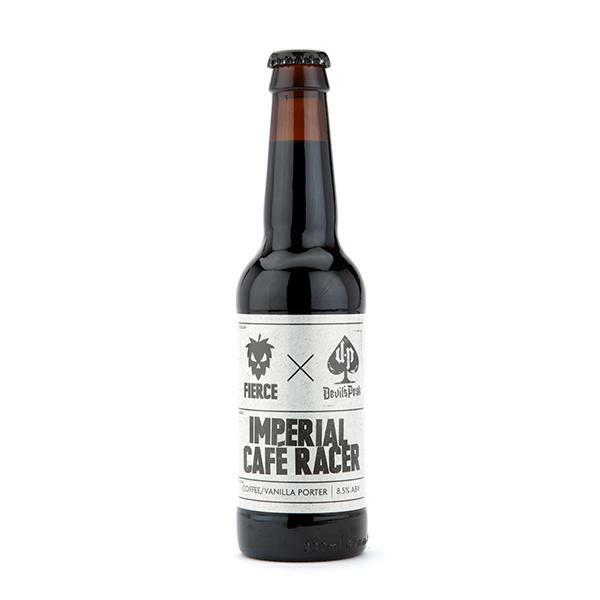 Collaboration with Devil’s Peak, amped up with Kenyan espresso and Bourbon vanilla Madgascar. Look: Pours opaque black with a small beige head. Aroma: Chocolate, coffee and vanilla. Taste: Big on the roasted malt, with dark chocolate balanced out with sweet caramel and vanilla. Verdict: Just the kind of rich dessert Stout we love; rich, complex and satisfyingly boozy. Curl up on the sofa and enjoy sipping this one.